For cats I've kept track of 20"+ this summer. This is #8. Not bad for my first season targeting them. I've found cut sucker works well. The bag of dead I get has a variety. I've tried bullhead with no takers so far. My hunch is the sucker has more oils and better scent. I hear live bullhead are the bomb for flatheads but yet to get into them. 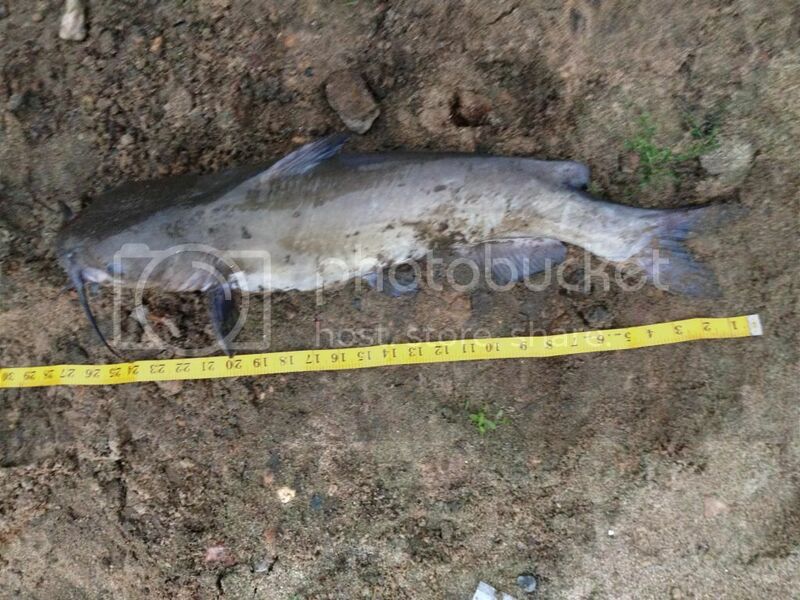 Anybody have success with cut bullhead for cats be it channel or flathead? Trapper and others can you remind me some of the deeper pools at the mouth if trout streams spilling into the Kickapoo for alternate species such as cats? 2014 bigs: 8 cats, 7 browns. Cats take the lead! But wait, maybe 0.5 pounds was eggs? Hold the phone. What gives? I'm told June and maybe into July is when they spawn. Any ideas about this female cat not spawning? Let's look at those eggs closer. 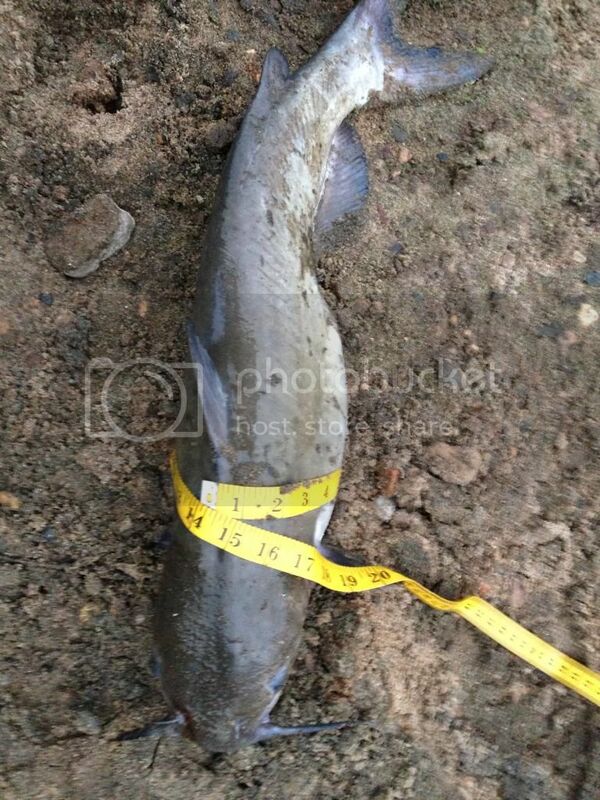 Same pool I caught the 31" and the 29" and a mess of other eater sized cats. Catfish Island rocks! Three ice cold Coronas on the island. Then a icy Moscow Mule upon returning home. 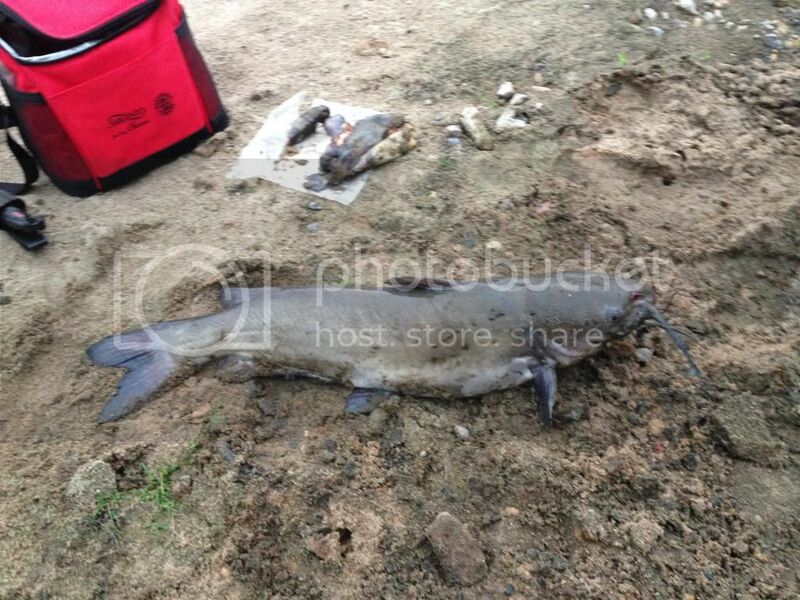 Now time for a Saturday morning catfish fry. 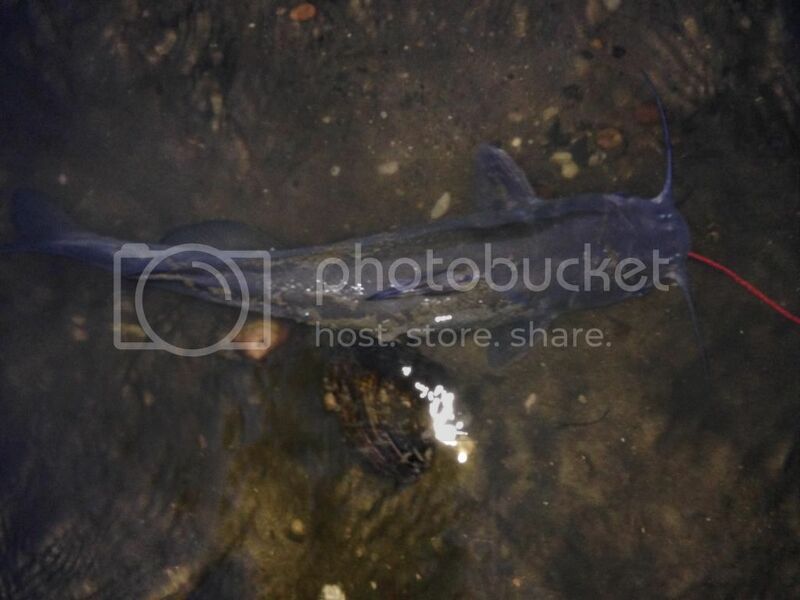 I'd think live bullheads would be better for flatheads than cut bullheads. Flatheads are a lot more fastidious eaters than their channel and blue cousins-I haven't heard of too many caught on cut or stink bait. I suppose much depends on local forage; around here, most of the serious flathead anglers use live bluegills. Those eggs are huge. I wonder if the spawn isn't late, like everything else this year after the winter we had. When I did a lot more steelheading, I used to bump into an ancient local on the Indiana creeks. He'd fish for flatheads on weekends in the Kankakee and use their eggs-successfully- for steelhead during the week. Thanks for the advice Pete. No flatheads in the Cannon that I know of. I guess channels not that picky and eat all kinds of cut bait. Hopefully one day I'll catch a flathead. Need to focus on bigger water for that namely the Mississippi in my area. Kyle I have come to the same conclusion that cut bait best. So far sucker. You are right on about the smaller ones taking worms. I used to fish for channels a bunch, cut buffalo carp was the most productive for me, I've caught them on cut bullhead but seem carp work a lot better. Chicken livers, crawlers and leeches all work too. I've caught big cats on worms and chicken livers. I think it's more about if you're fishing where the big fish live than the kind of bait, bigger cut bait can just help weed out the small fish. Also big channels will still eat a pretty big live bluegill.